Fasten-Your-Seatbelt: Financial Markets Heading For Heavy Turbulence in September/October? For every one corporate executive distinguished member of the ATCA 5000, who expects the global economy to improve over the next 12 months, there are at least two senior executives who now expect the global economy to get worse over the coming 12 months. In the aftermath of the Beijing Olympics, four years ago, Lehman Brothers collapsed in mid-September 2008. Are we heading for a similar outcome in the autumn or fall of 2012 post the London Olympics? The last few months of 2012 could really mark a major inflection point in the next phase of a global systemic crisis and the inadequate solutions proffered by those in authority to address the crisis so far. Sadly, we have never even come close to recovering from the last global financial crisis which began in August 2007 and this next crisis might -- should it arrive in late 2012 -- end up being even more painful than the last one. Having said that, there's a clear top 5% of beneficiaries from the last global financial crisis who have profited from quantitative easing and other monetary and financial policies to the detriment of the remaining 95% who have by and large seen their disposable income go down whilst inflation has ratcheted upwards. 1. Fall-off in International Trade, Global Recession and Rising Unemployment: There is no obvious engine of global growth visible anywhere -- neither in emerging markets like China, India and Brazil and nor within Europe -- and the myth of the robust “US recovery” is fast being exposed as a fallacy. In the last few years, the Eurozone has gone through a crisis-of-confidence of an intensity and depth unrivalled since the beginning of the European construction project after the Second World War. In the coming weeks and months, all the major powers of the world -- including the US, China and Japan -- may have to face an identical process of reckoning as global demand tails off sharply. Inability to control or slow down rising long-term unemployment is a major contributory factor to falling global demand for products and services and rising need for government spending programmes. This chasm exposes the failure of monetary and fiscal policies that are based on "pure austerity" measures to stimulate growth. 2. Global Lending Crisis: All over the globe the flow of credit is beginning to freeze up. The Bank for International Settlements in Basel, Switzerland, states that worldwide lending is contracting at the fastest pace since the financial crisis of 2008. Lack of “miracle” solutions as in 2008-2009, because of the growing impotence of many of the major central banks including the US Federal Reserve, European Central Bank, Bank of Japan, Bank of England coupled with high levels of indebtedness, suggests that the room for further flexibility now no longer exists. 3. Growing Insolvency of the Western Banking and Financial System: Rapid decline of the whole of the Western asset-backed retirement system including pension funds because of the loss of annuity income and anaemic yields is no longer just an academic issue. In parallel, Credit Default Swaps (CDS) insurance instruments for many Western banks including the top names in Europe are now trading higher than in the months leading up to the collapse of Lehman Brothers. So, something major is afoot. Credibility is in freefall for almost all countries as they assume the twin load of public and private excessive debt. This is having a detrimental effect on the financial assets held by banks such as domestic government bonds that are being downgraded and devalued as well as falling real estate prices which together underpin their balance sheets. 4. Derivatives: Credit rating agencies downgraded the ratings of a number of major global banks at the start of this summer. As a result, many of them have been required to post billions of dollars in additional collateral against derivatives exposures. The quadrillion dollar derivatives pyramid is a dangerous edifice to keel over. If it begins to give, it will spark off a chain reaction of events leading to a systemic crisis. The total size of the derivatives pyramid is at least 20 times larger than the GDP of the entire world. 5. US Municipal and State Bankruptcies: All over the United States there are cities and towns as well as entire states on the verge of financial catastrophe as tax revenues are shrinking fast relative to their ongoing spending commitments. Stockton in California has now become the largest US city ever to declare bankruptcy, but the reality is that this is only just the beginning of the local and state government debt crisis. If the police and the garbage collectors cannot be paid, how does one maintain law and order in such circumstances? This is a recipe for civil discord and unrest. 6. Growing Geo-Political Divisions: Disagreements within the world’s “monolithic” powers such as the US, China, Japan, Russia and the large economies in the European Union -- Germany, France, UK, Italy and Spain -- do not bode well to being able to resolve the next global financial and economic crisis together. Geopolitical tensions -- particularly in the Middle East -- are approaching the point of a regional explosion in the context of Iran-and-Israel as well as Syria. Lasting global geopolitical blockage at the United Nations is going to make it difficult to be able to resolve these crises diplomatically in the near future. 7. Ineffective International Alliances: G20, G8, Rio+20, WTO etc are proving to be ineffective in 2012 and are unable to repeat the magic of their earlier years. From the vantage point of the summer of 2012, it appears plausible that the final few months of this year may prove to be a potential game changer. Whether there is some kind of financial markets correction with attendant consequences for a global economic downturn; further breakdown in social and political stability; or extreme evasive political action to avoid such circumstances remains to be seen. At any rate it is going to be interesting to observe how all these converging events now in mid-flight are going to land together. It is likely that there may be cascading second-order risks as several of these primary asymmetric risks manifest simultaneously. 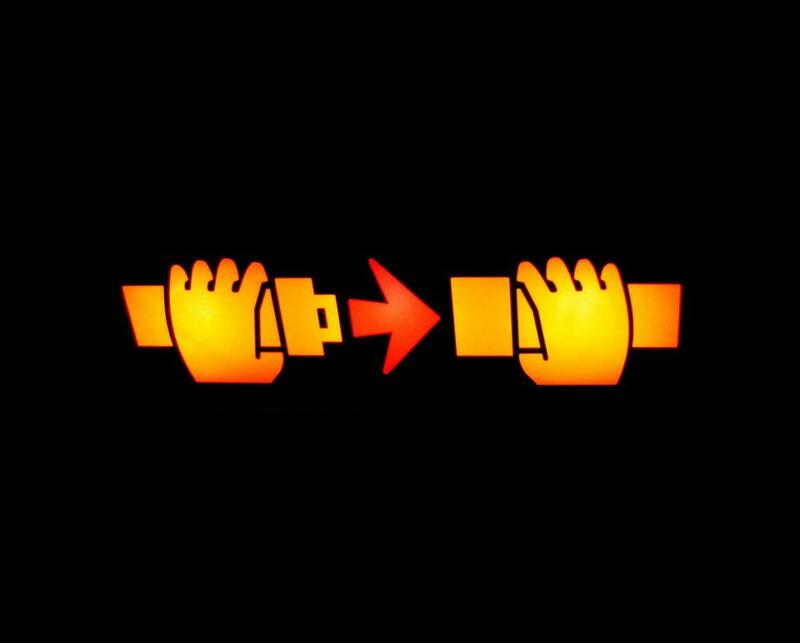 Please fasten your seat-belt. There is extreme turbulence just ahead!